I had just received my new Paper Pumpkin kit in the mail, and I’ve been so busy preparing for Convention this week, that I didn’t have much time to make a card for this sketch. But then it hit me that this kit would work perfectly with this sketch. I only added a couple of little pieces that weren’t included in the kit — the sequins and a strip of Tangelo Twist card stock. This card came together in no time. We hope you’ll join us and make your own creation with the sketch. We always love to see what you make each week. Meanwhile, you can check out what the design team made at the Freshly Made Sketches site for some inspiration. This is adorable! Haven’t opened my kit yet! And I am sorry I won’t be seeing you at the Monaco this year! Have fun! Wonderful card! The orange and grey and a pop of green really pack a punch. Great use of the sketch! 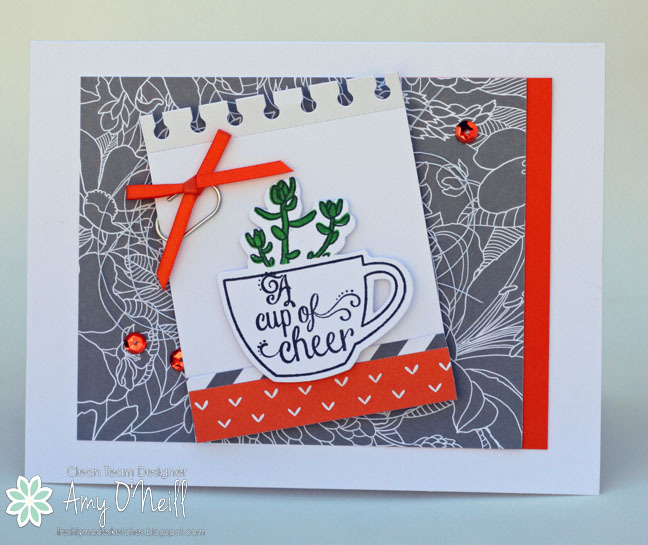 This card is just beautiful Amy! I love the DSP, the sweet little cup and of course the colours! So lovely! 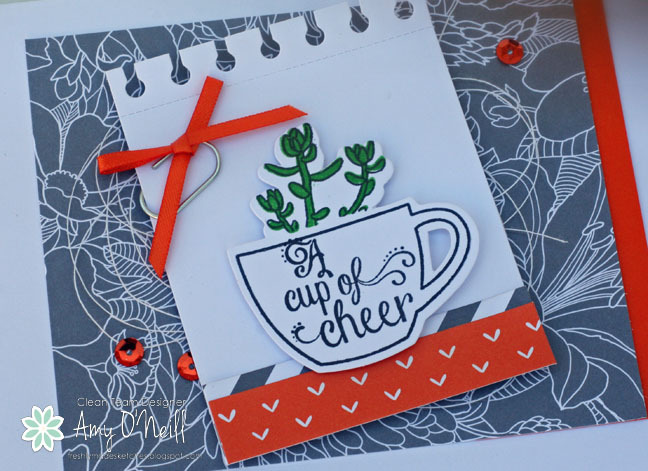 I love this card and the sweet little cup and cactusy plants you’ve used!